These patches have been tailored specifically for the BopPad, taking the layout into account while introducing some very nice voicing. 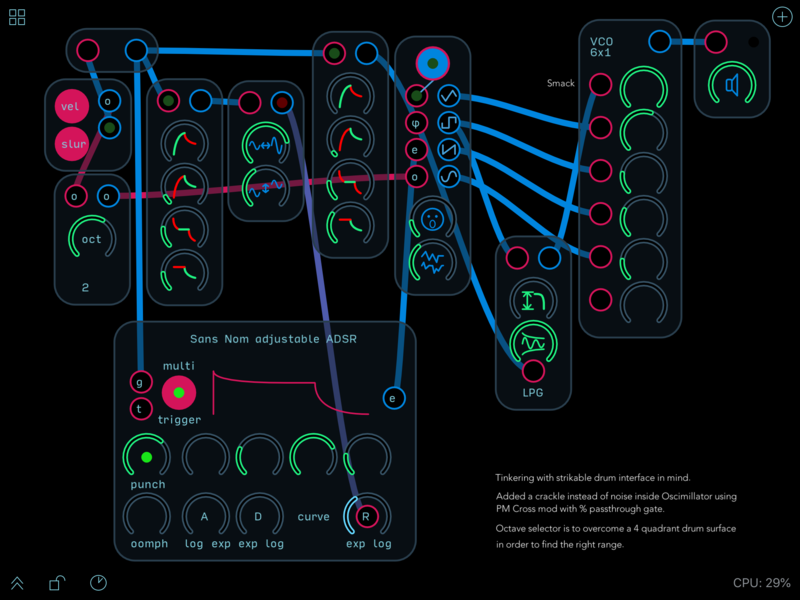 Of course, because these are made in Audulus 3, you need to own the software, which is available for iOS, Mac, Windows and Linux. The great thing is these patches can also be used as starting points for your own designs. 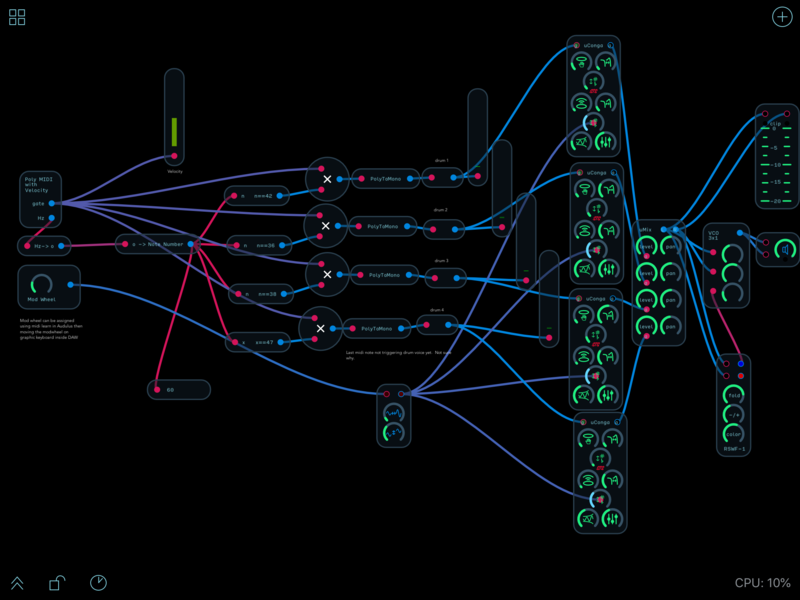 You could, for example, switch out the oscillator voices or add effects. Also, they have been tested and made to work efficiently on the iPad. More to come.